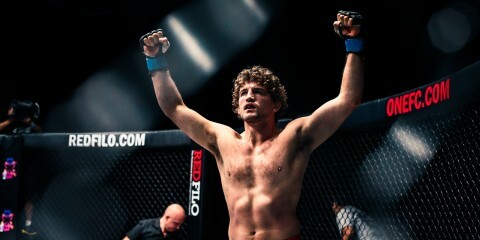 What's Next for ONE FC Champs Ben Askren and Shinya Aoki? The Invicta bantamweight debut of Brazilian Cristiane ‘Cyborg’ Justino will have to wait, as the current Invicta featherweight champion has suffered a left ankle injury and has been forced out of the Invicta FC 10 main event. 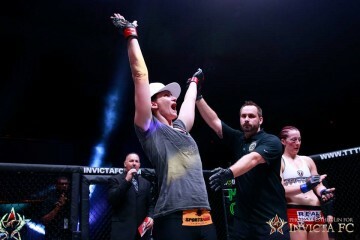 Justino has been out of action since last July, when she captured the 145-pound Invicta belt with a fourth-round TKO over Marloes Coenen at Invicta FC 6. 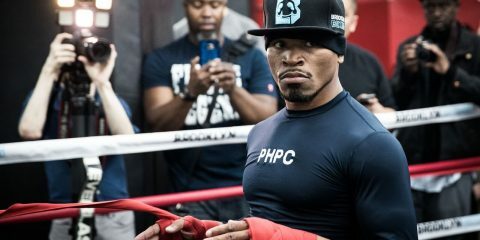 The 29-year-old has picked up two straight TKO wins under the Invicta banner, but the Brazilian suffered a full thickness rupture of her anterior talofibular ligament during training. Replacing Cyborg as the Invicta FC 10 headliner will be the promotion’s atomweight champion, Michelle Waterson. Waterson will square off with Brazil’s Herica Tiburcio. 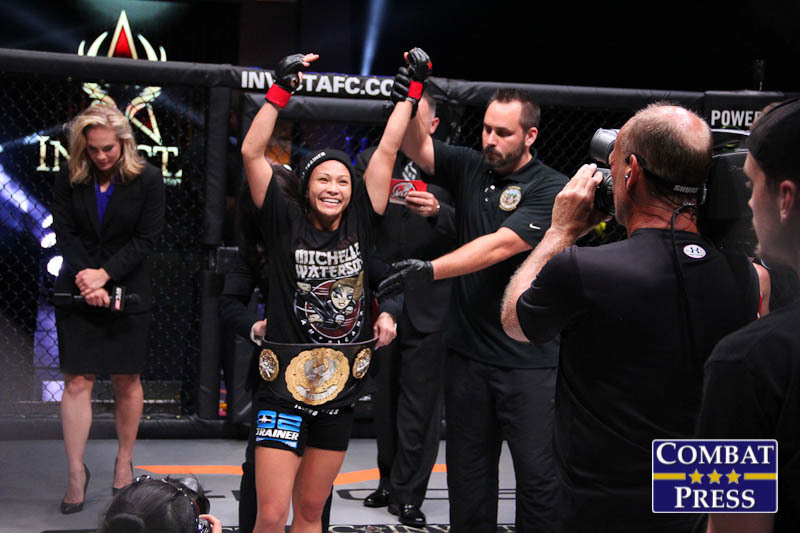 Waterson enters her second title defense riding a six-fight winning streak, including three straight inside the Invicta cage. The 28-year-old was in action less than two months ago at Invicta FC 8, where she scored a third-round TKO of Yasuko Tamada. 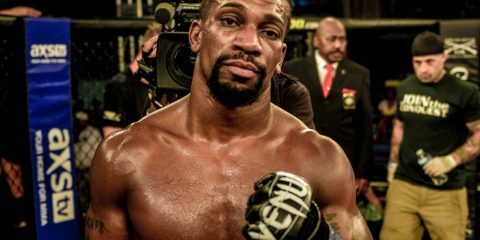 The win marked the Jackson’s MMA product’s 10th finish in 12 career victories. Tiburcio, meanwhile, was originally slated to make her promotional debut at Invicta FC 9 on Nov. 1 against Japan’s Ayaka Hamasaki, but was forced off the card due to visa issues. The 22-year-old has tasted defeat just twice in her career, including a strawweight bout against countrywoman Claudia Gadelha. Six of Tiburcio’s eight career wins have come via submission. In her most recent outing, she bested Aline Sattelmayer under the MMA Super Heroes banner. Invicta FC 10 takes place from the Arena Theater in Houston on Dec. 5. The event will stream live via the UFC’s digital network, UFC Fight Pass. The co-main event will feature a bantamweight bout between Tonya Evinger and Cindy Dandois. 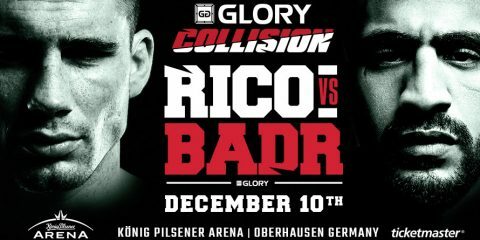 More bouts for the event are expected to be announced by the promotion in the coming weeks.